Despite its obvious success, robustness, and scalability, the Internet suffers from a number of end-to-end performance and availability problems, including long and unpredictable latencies for short connections, high drop rates, low throughput for long transfers even when there is ample link bandwidth, poor route selection, and periods of unavailability despite the existence of redundant paths. These problems are not easy to fix in the current Internet; indeed, they are likely to get significantly worse over the next 3-5 years as we increase link bandwidth, add buffering, add links, and add load. In the Detour project, we are attacking problems in the existing Internet by using intelligent routers spread at key access and interchange points to "tunnel" traffic through the Internet. These intelligent tunnels can improve performance and availability by aggregating traffic information, shaping bursty traffic flows, and using more efficient routes. 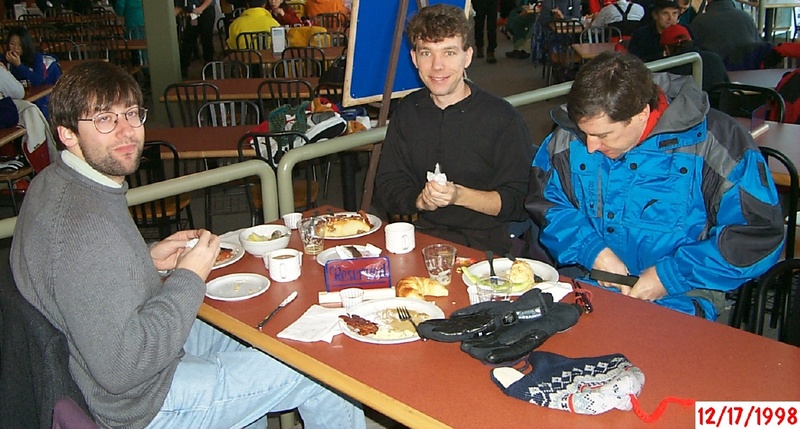 Pictures from the December '98 retreat: [The whole gang], [Mmmm, that cinamon roll sure is yummy! 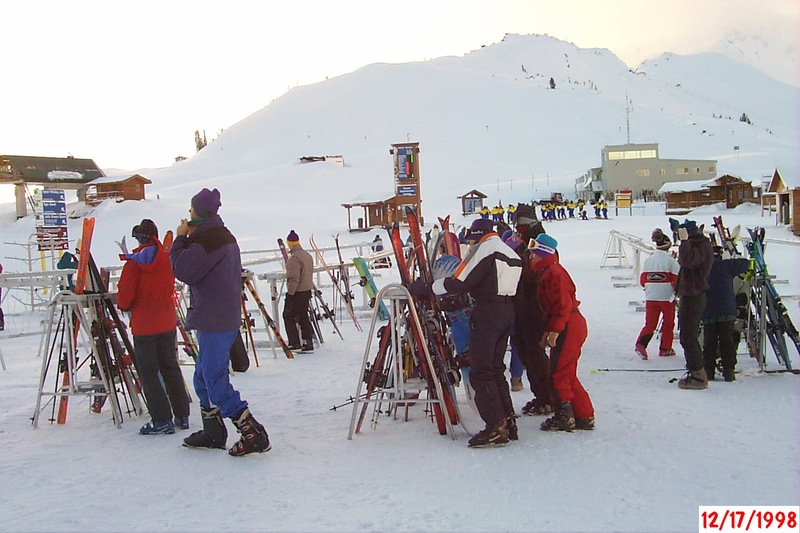 ], [Eagerly watching the expert review the options], [Hitting the slopes]. 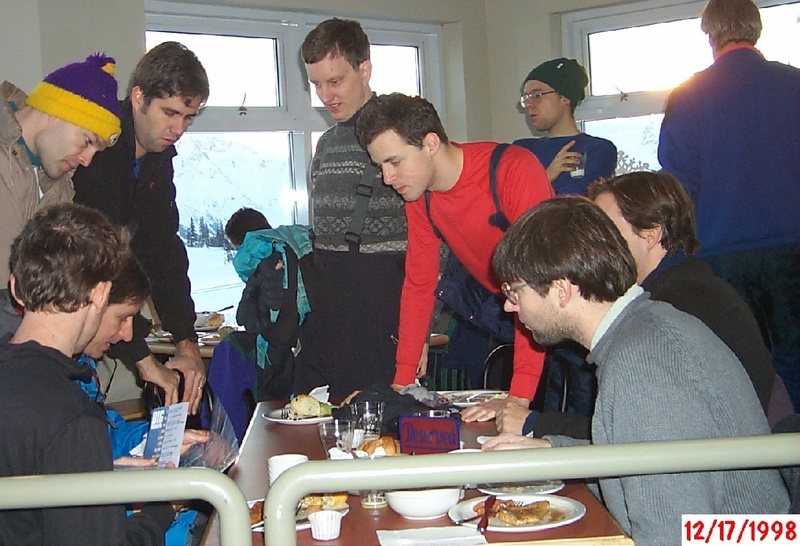 The Detour research project is supported by DARPA, NSF, Cisco, Intel, USENIX, Fuji, and Hitachi. in submission. Currently available as UW-CSE-00-02-01. Source for FreeBSD and Linux. to appear in Proceedings of the 2000 IEEE Infocom Conference, Tel-Aviv, Israel, March, 2000.
to appear in ACM Computer Communications Review, v 29, no 5, October, 1999. Proceedings of the 1999 USENIX Symposium on Internet Technologies and Systems, pp. 71-79, Boulder, CO, October 1999. A Patch for Linux 2.2/2.3. Proceedings of the 1999 ACM SIGCOMM Conference, pp. 289-299, Cambridge, MA, September, 1999. Proceedings of the Seventh Workshop on Hot Topics in Operating Systems, Rio Rico, AZ, March, 1999. IEEE Micro, pp. 50-59, v 19, no 1, January 1999. PhD Qualifying Examination, November 1998.